Combine your plants to unlock dozens of cute new ones as you revitalize several different worlds. Charming characters will aid you in your adventure by giving you different tasks to complete for great rewards. You can even connect your phone or Fitbit to help generate more energy as you exercise! *Collect them all! 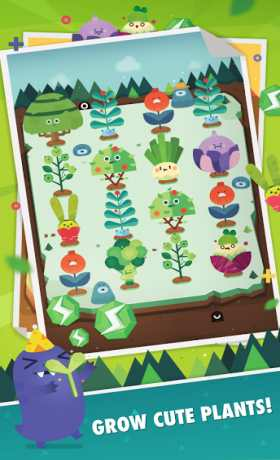 – Grow hundreds of absolutely adorable plants as you mix and match different species in order to evolve brand new ones. *Cast of characters – Harvest plants for charming NPC’s and complete their orders to earn exciting rewards! *Powerups – Unlock flasks by completing orders to research dozens of unique powerups. *Explore – Breath life back into several magical worlds as you discover more plant types. 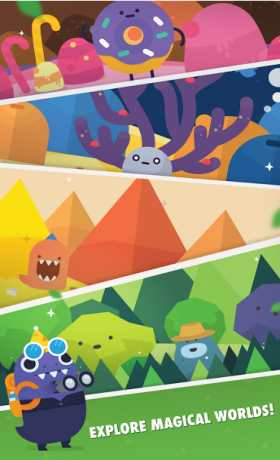 *Healthy Twist – Connect your phone or Fitbit and convert your steps into free energy in-game! 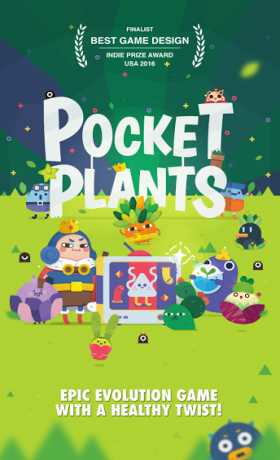 Please Note: Pocket Plants is a free-to-play game, but some extra game items can be purchased for real money. You can disable in-app purchases in your device’s settings.